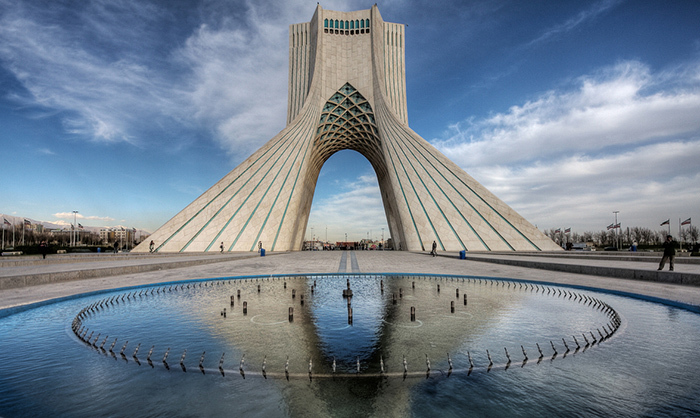 In the few decades leading up to the 1979 Islamic revolution, architects such as Houshang Seyhoun, Kamran Diba and Hossein Amanat pushed the boundaries of traditional Persian architecture by using traditional elements in modern designs; Amanat’s Azadi tower epitomises those efforts. After the revolution, however, the Iranian capital’s architectural scene suffered a serious blow as the country was consumed first by war then by post-war reconstruction. 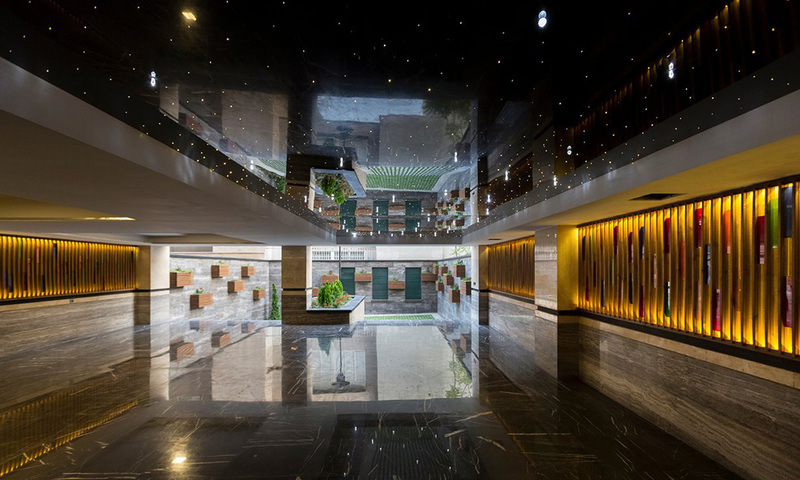 But more recently, with young architects educating themselves in worldwide trends, and the relative stability of the country compared to its post-revolutionary upheaval, a new generation are following in the footsteps of the veterans. The city has embraced a bold, experimental architecture. Tehran’s mayors are also influential. Former president Mahmoud Ahmadinejad was one. And the incumbent, Mohammad Bagher Ghalibaf, who has run eye-catching projects such as installing Picasso and Matisse billboards on the city’s streets, has presidential ambitions himself – leading, says Ghaleghi, to “the motivation of Tehran’s mayor to commission ambitious projects and improve the urban set-up”. 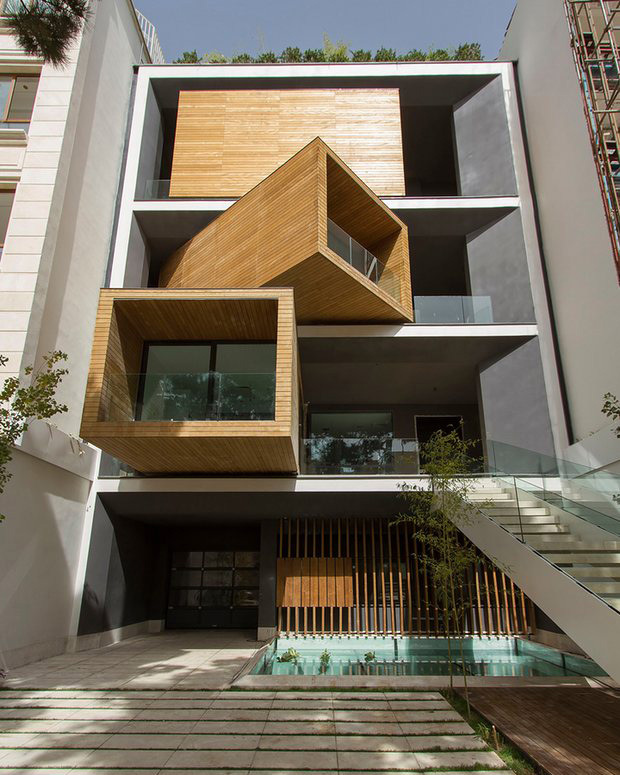 Built in 2014 in Tehran’s affluent Darrous neighbourhood, the Sharifi-ha house is a seven-floor building with three rotating blocks that turn 90 degrees. Each block is on a rotating base that allows the owner, Farshad Sharifi, to change its direction at the push of a button. The house has a swimming pool, a gym and a cinema. 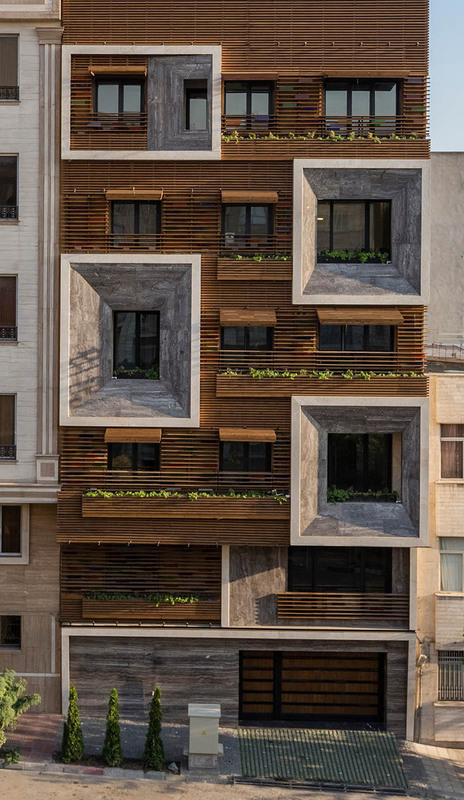 “The openness/closure of the building’s volume is a reference to traditional Iranian houses, which would dynamically serve as seasonal modes of habitation by offering both a Zemestan-Neshin (a winter living room) and Taabestan-Neshin (a summer living room) to their residents,” its lead architect from Next Office, Alireza Taghaboni, has written. 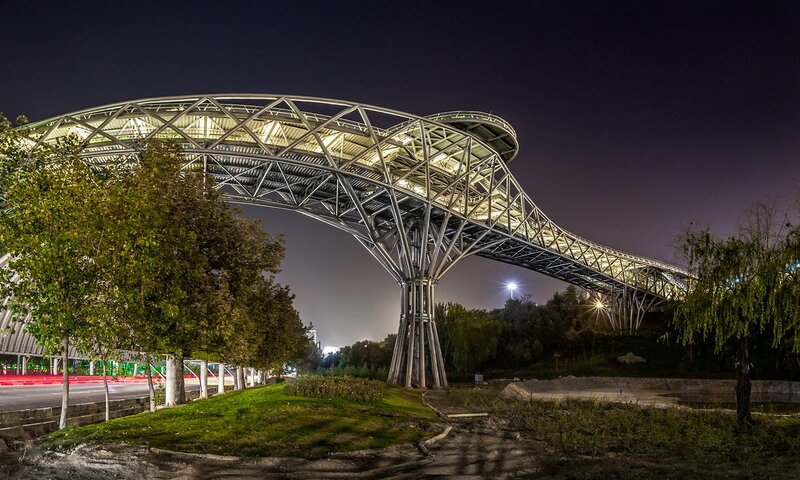 Unveiled in 2014 by Tehran’s mayor, Tabiat (nature) bridge is a spectacular hi-tech structure designed by young architects Leila Araghian and Alireza Behzadi. Araghian was 26 when she designed the bridge, which took over two years to build and has since become a popular hangout for younger people and a site for morning sports. On public holidays, thousands flock there to picnic. Reza Daneshmir’s Pardis Mellat cinema is responsible in many ways for kicking off the new burst of creativity in the capital, and was one of the first projects to gain international recognition after the revolution. “It was commissioned by Tehran’s mayor and completed in 2008; the state sector continued to commission similar works later such as the Tabiat Bridge,” says Gharleghi. The cinema is in the southern corner of Tehran’s popular Mellat Park. 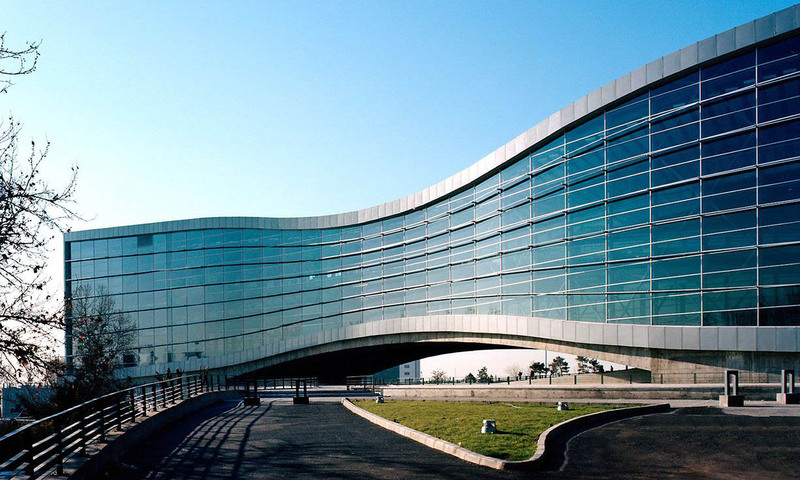 One of its central features is a 57-metre arch with no supporting columns, and the building is designed as a place to hang out after watching films. Mohammad-Reza Nikbakht’s residential building in Niavaran, north Tehran, built in 2013, was specifically designed to ensure no trees were cut down during its construction. “We’ve seen too many times in Tehran that 150-year-old or 200-year-old trees are cut for creation of new flats,” he said. “In my project, we faced a total of 128 trees with an average age of 70 years.” The initial plan required around 40 trees to be cut, but Nikbakht redesigned and persuaded the municipality to preserve all of them. 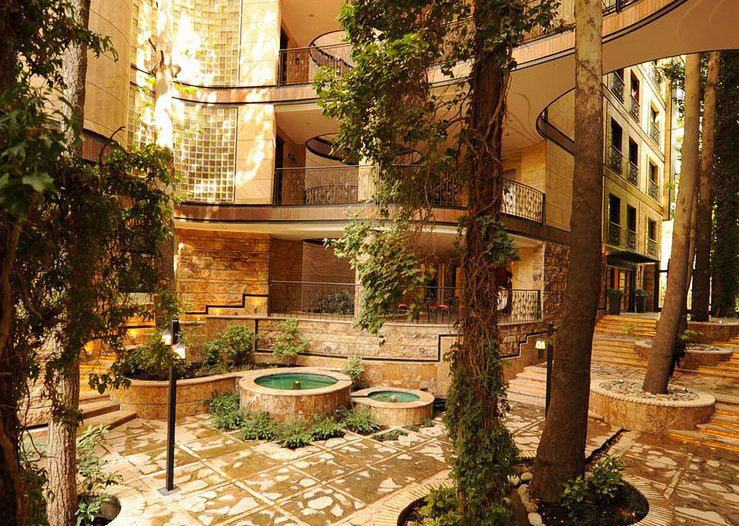 The building has seven floors, five of which are apartments, and a garden on its roof. “We also used stained glass and used the six colours that have traditionally been seen in Iranian windows,” Keivani said.